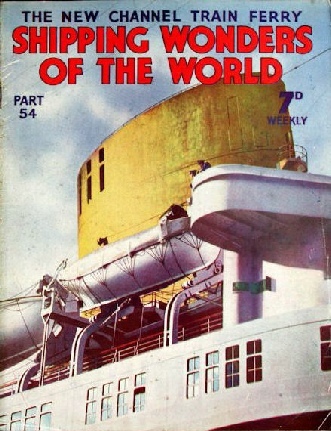 Part 54 of Shipping Wonders of the World was published on Tuesday 16th February 1937. 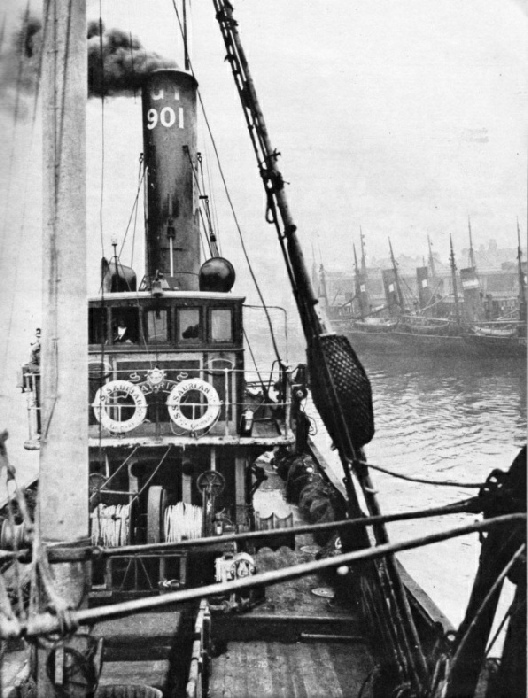 It included a centre photogravure supplement illustrating the Ports of Hull and Grimsby, which formed part of the article on Britain’s Famous Fishing Centre. This week’s cover is an unusual and striking view taken on board the Nord-deutscher Lloyd liner Europa, of 49,746 tons gross. The Europa and her sister ship the Bremen were dealt with in on of the earlier parts of Shipping Wonders of the World, in the chapter beginning on page 183. 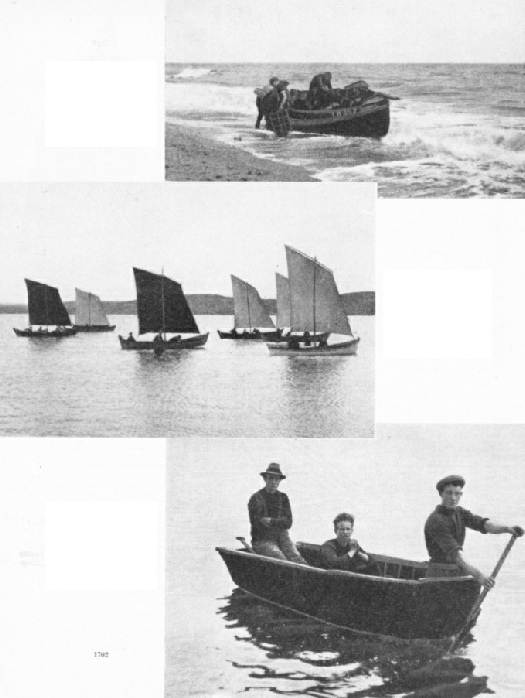 PROPELLED BY ONE MAN, a currach used for communication between Aran Island (Co. Donegal, Ireland) and the mainland (bottom). These currachs are of a different type from those used in Galway Bay. They are about 9 feet long, 4 feet in beam and 1 ft 9 in in depth, their framework being made of American elm. In addition to passengers and goods, sheep and cows are transported to and from the mainland in these primitive but sturdy craft. The conclusion of this chapter by Frank G G Carr, who has made a special study of this subject. The article is concluded from part 53. A VETERAN PADDLER, the Lorna Doone, on the River Avon, near the famous Clifton Suspension Bridge. She was built in 1891. 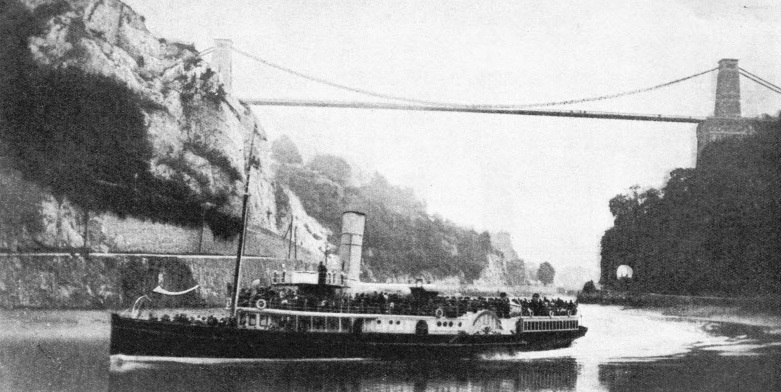 In 1898 she was bought by the Southampton, Isle of Wight and South of England Royal Mail Steam Packet Company from a firm which had been running her in the Bristol Channel. She was still in service in 1936 round the Isle of Wight. The Lorna Doone has a gross tonnage of 410, a length of 220 ft 6 in, a beam of 26 feet and a depth of 9 ft 2 in. RIVERSIDE QUAY AT HULL is an important part of the dock system. The quay fronts on the River Humber, and on the other side of the quay is the Albert and William Wright Dock, with a combined water area of 28½ acres. 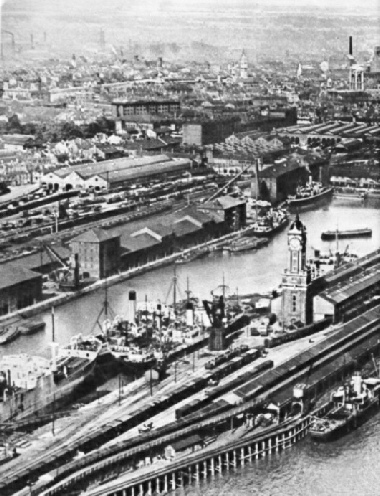 At the eastern end of Riverside Quay are Riverside Station and the Fruit Market. Double-storied sheds accommodate fruit cargoes which are loaded into railway trucks under cover. In addition to the well-known fleets of pleasure steamers on the Thames and on the Clyde, many interesting vessels are to be found at the pleasure resorts all round the coasts of Great Britain. Formerly owned to a considerable extent by small firms, these steamers now belong mainly to large concerns. Most readers must at sometime or other have seen, or possibly have sailed in, one of the paddle steamers at the British seaside resorts. These ships are dealt with in this chapter by Frank Bowen. Much interesting information is contained in this article, including details of the Isle of Man Steam Packet Company; the Liverpool and North Wales Packet Company, whose vessels ply between the Mersey and the seaside resorts of the North Wales coast; and Campbell’s, who started on the Clyde, opened a service at Bristol, and finally transferred all their ships to the south and closed down the Glasgow service. of the P & A Campbell Ltd paddle steamer Glen Gower at Troon in 1922. Much misapprehension exists about the flying of flags and ensigns at sea and on land. The circumstances in which any flag may be flown at sea, however, are clearly laid down by law. The flying of certain flags on shore is governed by unwritten laws. This chapter is by Commander Hilary Mead which covers the whole subject of flags and how to fly them, and covers the whole subject briefly and comprehensively. There is a complementary article on Signalling at Sea in part 2. A SHIP OF THE ROYAL NAVY normally flies the White Ensign. During the war of 1914-18, however, confusion arose because of the similarity between this flag and the German ensign. For these reasons it was customary for HM ships to fly both the White and the Red Ensign. The light cruiser Phaeton was of 3,500 tons displacement and had a length of 410 feet, a beam of 39 feet and a depth of 14 feet. On the banks of the River Humber are situated the ports of Hull and Grimsby, famous for their importance in commercial shipping and particularly in the fishing industry. Grimsby claims to be the world’s largest fishing port. Hull is one of the most interesting and historic of British ports, and with Grimsby, the great fishing port. Hull’s official name is Kingston-upon-Hull, and it ranks high among British seaports. It is situated on the River Humber, as is Grimsby. 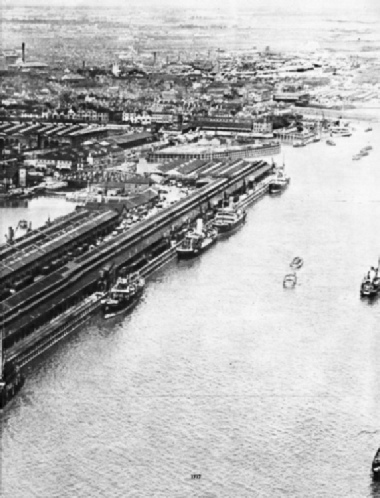 The origin of the Port of Hull was unique among English ports - it was deliberately selected and laid out as a seaport by Edward I towards the end of the thirteenth century. The Lord Mayor of Hull has the picturesque title of Admiral of the Humber. The poet Andrew Marvell and the reformer William Wilberforce were among the famous citizens of Hull. The real rise of Hull, however, came with the Industrial Revolution. The spirit of enterprise there was - and still is - very keen, and immense natural advantages combined to give scope for great development. Hull’s newest dock, the King George Dock, is the largest enclosed piece of water on the north-east coast. The story of its construction is an interesting one, for the whole area had to he reclaimed from the foreshore. The chapter is written by Walter Wood and is is the eighteenth article in the series on Great Ports of the World. ENTERING GRIMSBY DOCKS the the end of a North Sea voyage is the fishing vessel Saurian, typical of many of the trawlers which are based on the famous fishing port. The Saurian, built in 1916, is a vessel of 219 tons gross. She has a length of 120 ft 4 in, a beam of 21 ft 6 in and a depth of 11 ft 6 in. The circumnavigation of the world, in a 36-tons yawl, and with a crew which suffered changes at nearly every port of call, was the feat achieved by the late Lieutenant Muhlhauser, who left England in September 1920 and returned in July 1923. Lieutenant Muhlhauser served with the RNR in the Q-boat service in the North Sea during the war of 1914-18. He came through the war with a splendid record as a navigator. After he had been demobilized he set out in his small boat to circumnavigate the globe, and this feat took him three years; in the course of his voyage he went through the Panama Canal and the Suez Canal. In his death, soon after his return from the voyage, the world lost a fine yachtsman and intrepid navigator. Throughout his voyage, Muhlhauser encountered trouble with his crew, one hand even proposing that he should “improve the shining hour” by reading while at the tiller. On another occasion he enlisted the services of a Mohammedan cook, only to find that the man’s religious scruples did not allow him to cook bacon. The article is illustrated by photographs taken from The Cruise of the Amaryllis by the late G H P Muhlhauser. 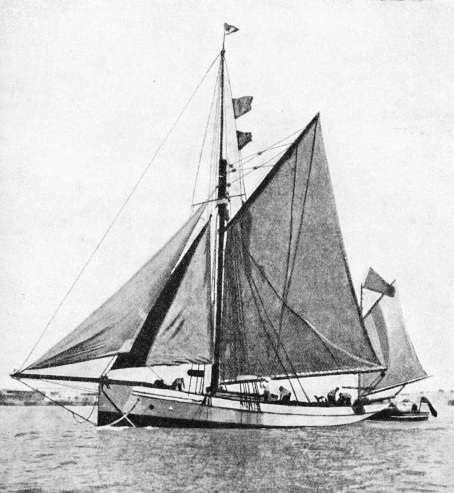 This chapter is contributed by Sidney Howard and is the tenth article in the series on Great Voyages in Little Ships. You can read more about this voyage in chapter 4 of The Circumnavigators by Don Holm. Railway communication between Great Britain and the continent of Europe have been much facilitated by the train ferry across the English Channel between Dover and Dunkirk. For the first time, Passengers are able to travel to or from the Continent without changing trains. The recently opened Dover-Dunkirk train ferry service is one of the biggest things of its kind yet attempted. The traveller can now settle down comfortably at Victoria, London, one evening and awake next morning at the Gare du Nord, Paris. The rise-and-fall of the tide in the Strait of Dover is sometimes as much as 25 feet. This fact put great difficulties in the way of the engineers seeking to build the train ferry. In this chapter C Hamilton Ellis describes the building of the ferry and the vessels used on the service. A full description of one of the ferries used, the Twickenham Ferry, appeared in part 2. FOUR RAILWAY TRACKS occupy the main deck of the Dover-Dunkirk ferries. These tracks accommodate twelve sleeping cars, each 65 feet long, and two luggage wagons. A full passenger load on deck weighs 660 tons without luggage or passengers, and the maximum weight allowed is 1,200 tons. Two island platforms enable passengers to leave the train during the crossing. The Golden Gate, which is the entrance to the wonderful landlocked San Francisco Bay, is one of the most romantic and historic waterways of the North American continent. Famous in the days of sail, San Francisco is now a magnificent harbour for merchant and naval vessels. San Francisco is an historic city, for the first settlers were Spanish soldiers and missionaries who arrived there in 1775. Since those days many dramatic and historic events have happened there. In April 1906, the great earthquake and the three-days fire which followed it devastated the area and destroyed millions of dollars’ worth of property. This led, however, to the improvement of the city in the rebuilding which followed, and to-day San Francisco is worthy of a place among the greatest ports in the world. The country round the port is one of the most prosperous areas in the United States, producing oil and fruits. Recently, the building of two wonderful bridges has added enormously to the importance of San Francisco. These bridges, however, have not much connexion with shipping, and thus they do not figure largely in Sidney Howard’s chapter. This is the nineteenth article in the series on Great Ports of the World. THE SHERINGHAM CRABBER (top) is a familiar type of beach-boat in Norfolk. Fishermen beach these boats by sailing straight for the beach, the helm being put hard down at the moment the boat is about to touch. This brings her parallel with the shore, which she strikes broadside on. The sail is lowered at the last moment, the crew leaps out, and the sea breaks under the the seaward side of the boat, which is left to “knock-up”. SHETLAND FOURERNS (middle) still exist in considerable numbers. They row four oars, and are fast, seaworthy and extremely pretty boats. In many ways they resemble the famous sixerns, which were originally imported from Norway and were extensively used for deep-sea fishing. The Viking type of sail is now disappearing, and many of these craft are fitted with standing lug and jib. A smaller type, on the same model, but setting no sail, is called an “eela-boat”. A FAMOUS TURBINE STEAMER (top), the third Ben-My-Chree, owned by the Isle of Man Steam Packet Company, was built in 1908. In 1914 she was considered to be the finest ship of her type afloat. She had a gross tonnage of 2,651, a length of 375 feet, a beam of 46 ft 1 in and a depth of 17 ft 6 in. She was replaced by a slightly smaller vessel of the same name, built in 1927. 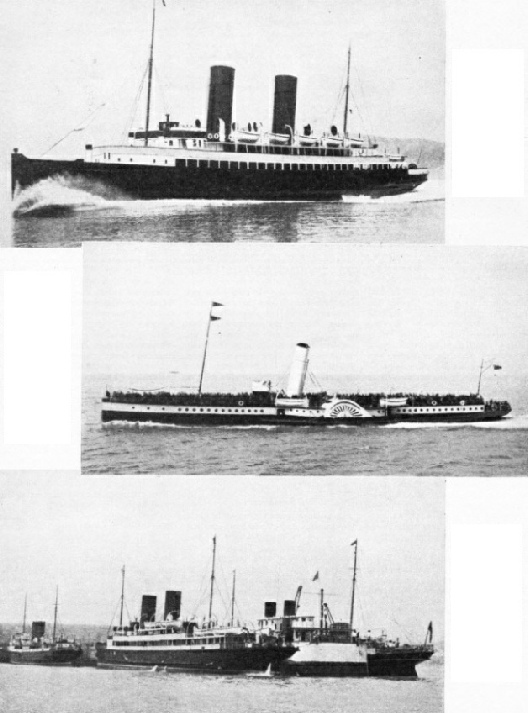 WELL-KNOWN IN THE BRISTOL CHANNEL, the Cambria (middle), owned by P and A Campbell, Ltd, was one the fastest passenger steamer of her size and type. 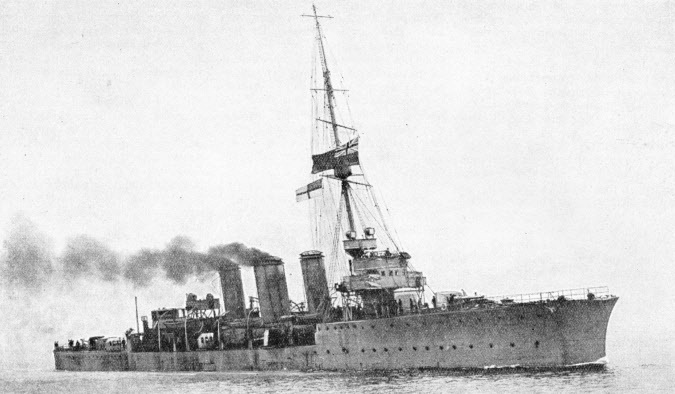 She did much useful work during the war of 1914-18 under the name of Cambridge, but was given back her old name when she returned to her normal duties. The Cambria, which has a gross tonnage of 420, is 225 feet long and 26 ft 1 in in beam, with a depth of 9 ft 5 in. the Viking (1,957 tons gross) and the Mona’s Isle (1,688 tons gross). All three are triple-screw vessels, with lengths of between 300 and 350 feet. Some of the Isle of Man steamers must be regarded as packets, but the large number of holiday-makers in the summer gives the service a two-fold character. THE PORT OF HULL has two distinct features in relation to shipping. At Hull there is an extensive cargo and passenger trade, and the port has also an important connexion with the fishing industry. 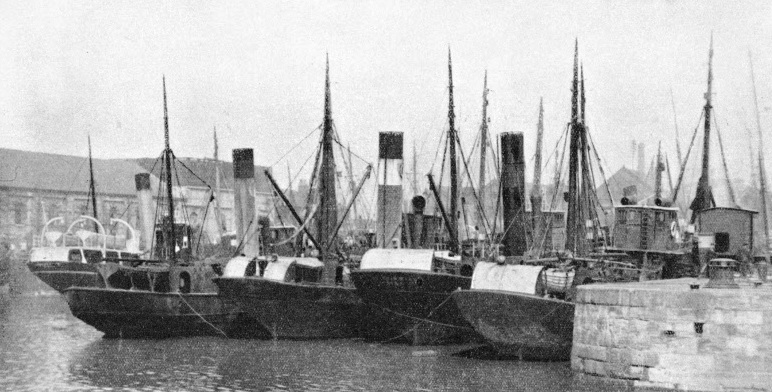 As at the sister port of Grimsby, on the southern bank of the River Humber, quays and docks at Hull are crowded with steam trawlers and other fishing craft. 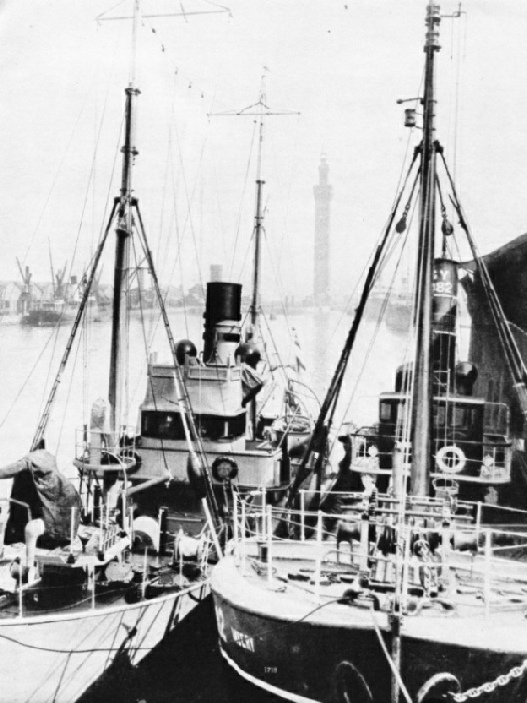 A NAVAL TRAWLER alongside a Grimsby fishing vessel in Grimsby Docks. HMS Liffey, a vessel of 292 tons gross, was built in 1916. She has a length of 130 feet between perpendiculars,a beam of 23 ft 6 in and a depth of 13 ft 6 in. The Liffey acts as a Fishery Protection vessel. In the background is the Hydraulic Tower, 306 feet high, a prominent landmark of the port. A YAWL OF 36 TONS, Thames measurement, the Amaryllis had a length of 52 feet on the water-line, a beam of 13 feet and a draught of 10 feet. Most of her ballast was iron, carried inside, but her lead keel weighed 3¼ tons. She had an auxiliary engine of 12/15 horse-power. THE WATERFRONT OF SAN FRANCISCO is owned and had been developed by the State of California. Ferries ply between the city and the towns on the other shores of San Francisco Bay and bout 45,000,000 passengers were carried annually until the opening of the first of two great bridges in 1936. These masterpieces of engineering will eventually connect the city with the neighbouring towns and pleasure resorts. At San Francisco there are forty-two piers, twenty-one ferry slips and numerous wharves. ON THE SHORE OF THE CARIBBEAN SEA, La Guaira is the most important harbour of Venezuela. 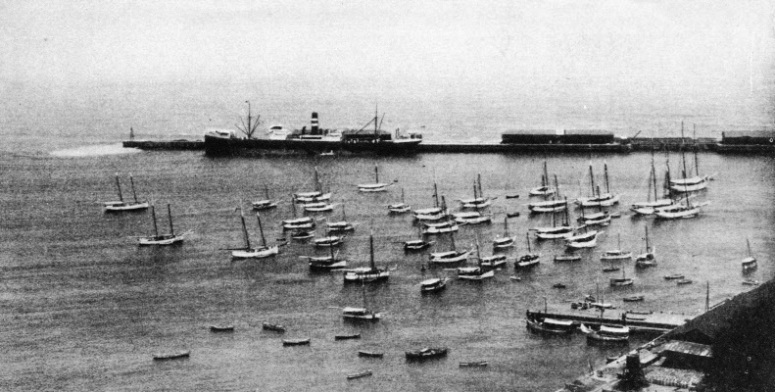 Here vessels are loaded, among other things, with crude oil, which they take to the Dutch Islands of Curacao and Oruba for refining. The ship at the quayside is the Harrison liner Actor, of 5,548 tons gross. She has a length of 410 ft 3 in, a beam of 52 ft 3 in and a depth of 30 ft 3 in.